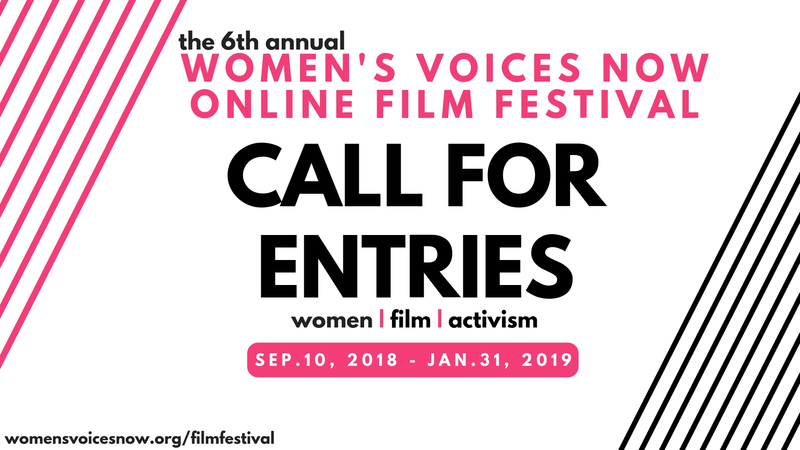 The 6th annual Women’s Voices Now Film Festival is now open for submissions via FilmFreeway.com from September 10th 2018- January 31, 2019. Women’s Voices Now is a non-profit that uses the medium of film to highlight women’s issues around the globe (from over 174 countries) and hosts its annual film festival to show these films on a free online streaming archive. The film festival focuses on highlighting and celebrating stories about women’s rights and women’s issues that can inspire social change. Participating filmmakers can be in with the chance of winning up to $10,000 in prizes, features and to have their film added to the Women’s Voices Now Film Archive. Categories for submission include: Documentary Feature, Narrative Feature, Documentary Short, Narrative Short and Youth Filmmakers (a new category that awards the best film from a filmmaker up to age 18 a cash prize of $500). Heidi Basch-Harod, Executive Director had this to say about the importance of this years festival: ‘One year into the viral, online #MeToo movement, the repercussions within huge commercial industries and in the political sphere are matched only by the unprecedented strides in education and activism concerning the global women’s rights struggle. We are living in an exciting and frightening time. We must do everything we can to ensure that this is the dawn of a new era and not merely a moment in the history of the evolution of humankind. Social impact film plays a huge role in this momentum and Women’s Voices Now seeks to recognise and celebrate these works, and to share them globally’. Submissions are open until October 1 2018 (Early Bird Deadline, $15.00) or January 31st, 2019 (Regular Deadline, $20.00).